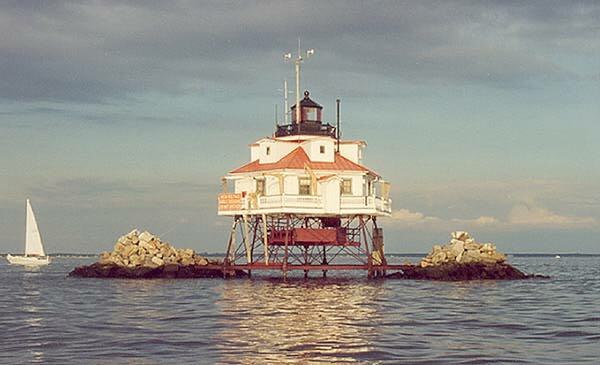 The AM Expedition to Thomas Point Shoal Lighthouse in the Chesapeake Bay honors the heritage of lighthouses as an aid to navigation, and the development of radio to improve maritime safety. This vintage short-wave ham station uses Amplitude Modulation similar to the world's first voice signals which were transmitted 100 years ago from Cobb Island at the southern end of the Chesapeake. There are several organizations that are involved with the preservation and restoration of these old lighthouses. The group that is sponsoring this event is the Amateur Radio Lighthouse Society and The AM Radio Network.